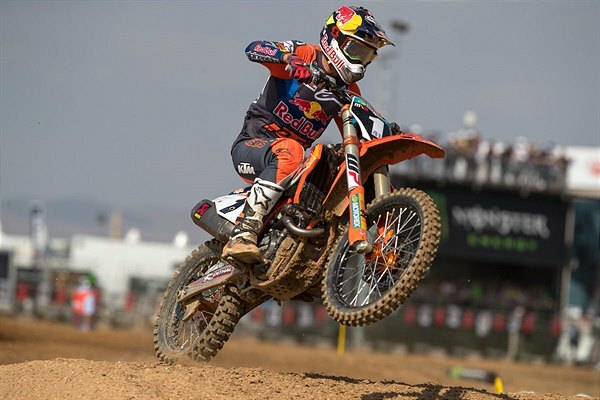 The Sicilian was 8th overall. 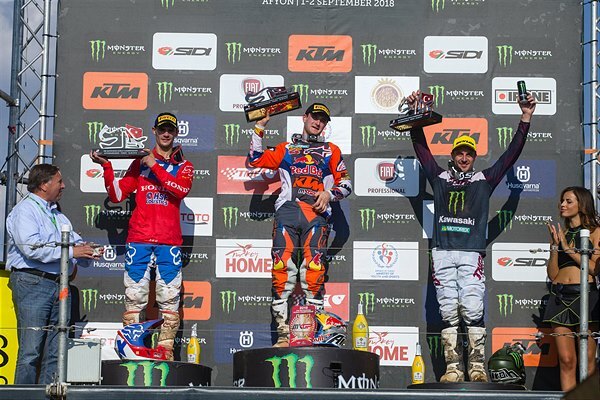 He scored a strong runner-up to Herlings in the first moto despite clipping one of the trackside bridges and sustaining a cut and bang to his right hand. 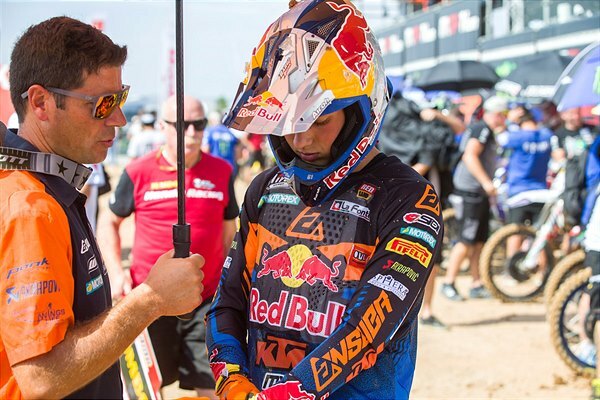 A crash in the opening phases of the second moto cast #222 to the back of the field but he postponed an early party for Herlings by riding back to 15th position. 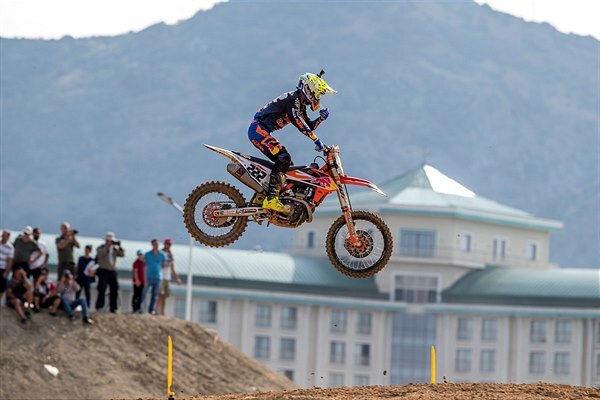 Glenn Coldenhoff was 7th in the final standings of the Grand Prix after adapting the best he could to track conditions and posted a 6-7. 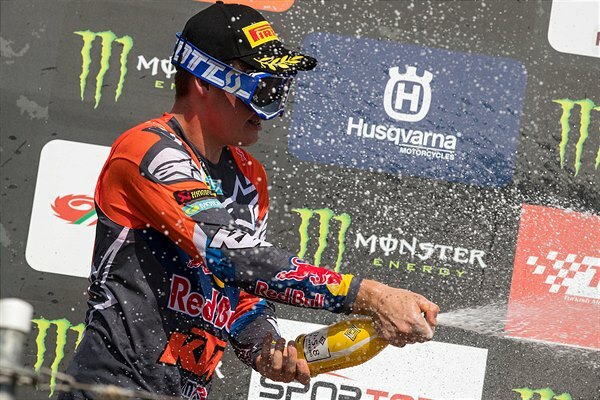 The Dutchman continues to hold 7th in the MXGP points table and will be eying the next race at Assen – a site where he has previously tasted podium champagne – to obtain his first trophy of the season. 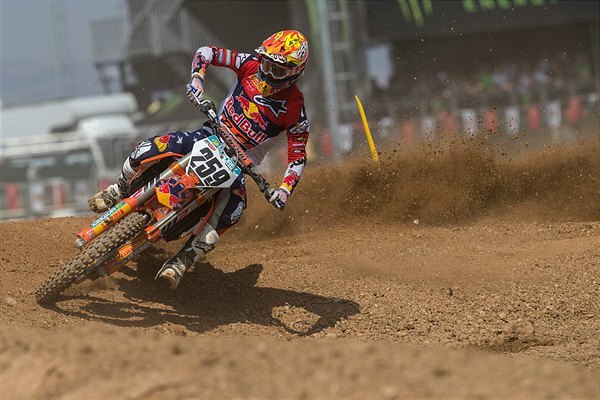 Pauls Jonass gave his hopes of a successful MX2 title defence a small boost with 2nd place overall behind victor Thomas Covington at Afyon. 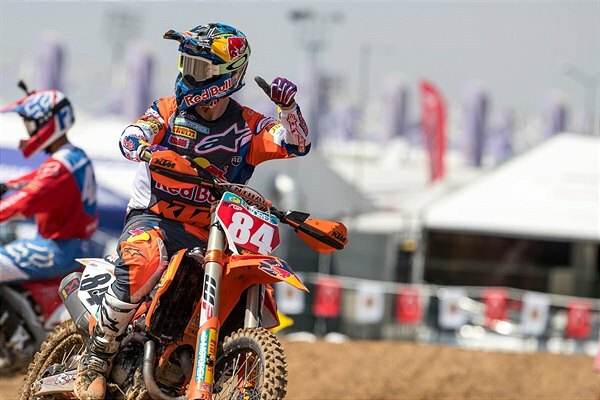 The world champion registered his twelfth rostrum finish of the year and notched his fifteenth chequered flag with a second moto triumph. 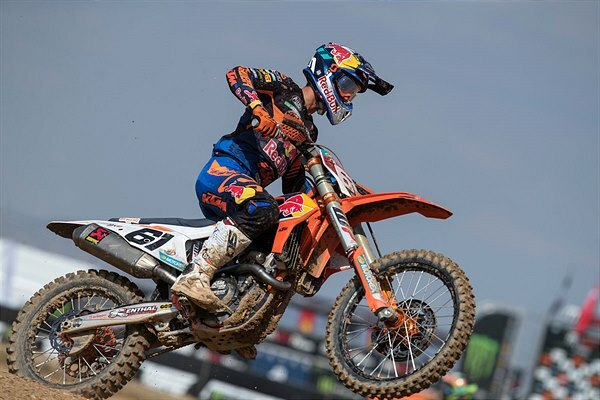 The Latvian, together MX2 world championship leader Jorge Prado, battled for the lead in the first race until the pair collided through the air of one of the many jumps on lap nine. 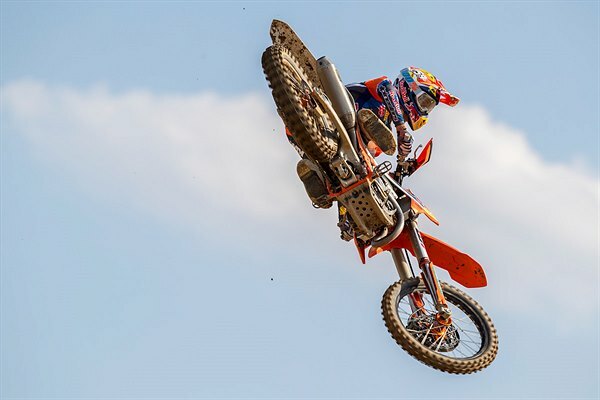 Both remounted with Jonass able to score 6th place and Prado classifying 3rd. 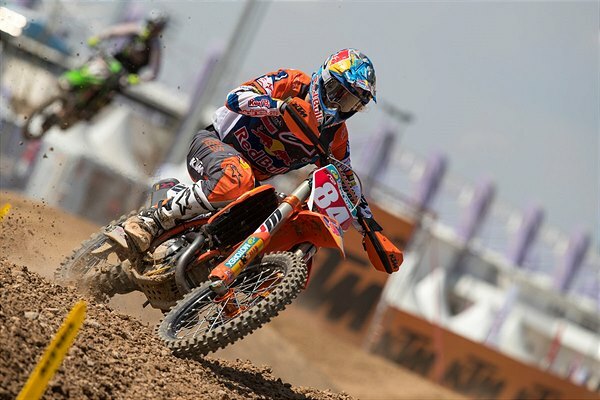 Jonass pursued and passed Covington to excel in the second moto; the American’s mistake allowed #1 to again leap through the finish line arch first. 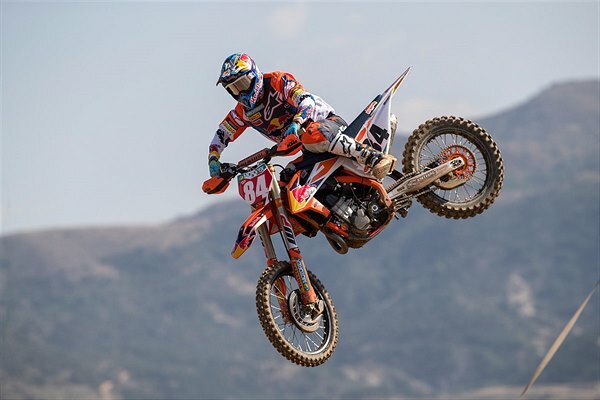 Prado laboured to find an effective rhythm on the rougher hard-pack and was 7th to rest 6th overall and miss the podium for only third time this term. 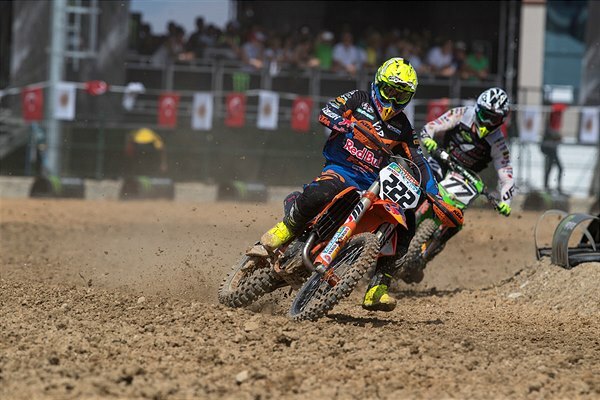 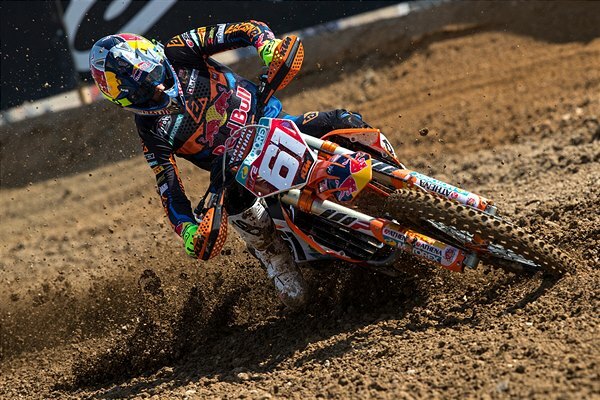 24 points split both works KTM 250 SX-F athletes with a maximum of 100 remaining at the Assen and Imola circuits.